The above is a typical question fired at those browsing for new furniture or simply seeking interior design advice from experts. Though valid, that question doesn’t always come with a clear answer — especially your taste in decor swings more than your constantly changing, favorite DIY program. But that's OK. Rather than choosing, you can mix some of your favorite styles and have them play off one another to create magic. There are plenty of ways to make opposites attract, but let’s focus on mixing antique (or traditional) with modern-style decor to create an inviting and stylish space. 1) Pair a traditional or antique-style table with sleek, contemporary chairs . This could be lovely for both indoor and outdoor spaces, and you could even pull this look off with the "distressed wood" look. You can pull this off no matter what — whether you're using either a smaller table, or a longer dining table inside a more formal space (or maybe even a farmhouse table ). Don’t be afraid to mix it up and get creative with chair colors and styles! 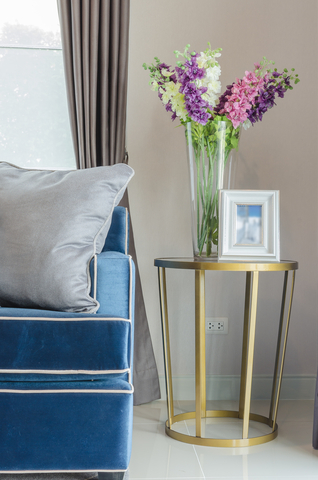 2) Mix it up by placing modern vases and sculptures on antique side tables . There are plenty of ways to pull this look off and put stylish items on display, whether they be brilliant floral arrangements or even sleek, stylish desk lamps. It's important not overdo it — a little can go a long way to really make this look stand out. Placing contemporary artwork in the background could make this look pop even more. 3. Mix Victorian-style winged chairs with modern sofas to create an interesting living room space. Experiment with designs and textures to create a mismatched, yet complementing look. 4. Use steamer trunks in contemporary spaces, such as modern-style bedrooms. 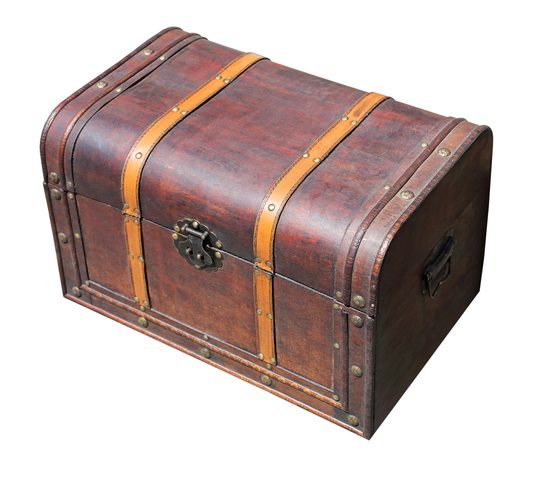 A trunk could look lovely at the foot of your bed, while doubling as a bench and/or storage space. A taller one could also be used as a nightstand. Additionally, a distressed and worn look could really bring some edge to an otherwise lackluster setting. 5. Use a traditional wardrobe as your answer to extra storage in a modern dining room or kitchen. This can look great if done properly and be the focal point of the entire space. Heck, you could even use a clothing armoire as a second pantry. Remember, there are endless ways to make opposites attract — you just need to think outside the box (or wardrobe)!